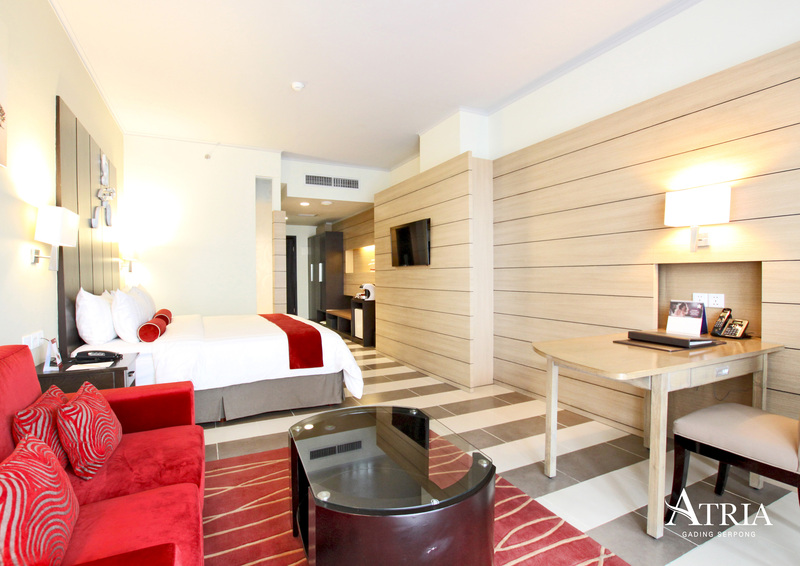 The 2 suites of the Atria Hotel Magelang are the best and largest rooms of the hotel. They have 50 square metres of space divided into a main bedroom, an independent bathroom and a living room equipped with sofas and elegant furniture, as well as with all the services and facilities of the deluxe rooms. Enjoy a refined and luxury accommodation perfect for special occasions. Enjoy a pleasant stay in Magelang in our suites.